One of the (few) ways that many of us can relate to the vast scope of history is from the visual angle. Research-based reconstructions certainly bring forth such an advantage with their provision of ‘glimpses’ into the past. And among them, facial reconstructions of actual historical characters rather notch it up a level, with their ability to tantalizingly sate our inherent curiosity about the ‘players’ in the grander scheme of things. So without further ado, let us take a gander at the ten facial reconstructions from history you should know about. *Note – All of these reconstructions should not be judged as being entirely accurate when it comes to historicity, but rather viewed as an estimation of the visages in line with archaeology and research. To that end, some of the historical personalities are even presented with more than one reconstruction of their individual faces. The site of Achavanich (or Achadh a’ Mhanaich in Gaelic) in the northern tip of Scotland boasts its fair share of mysteries with the famed horseshoe-shaped arrangement composed of an array of stones. 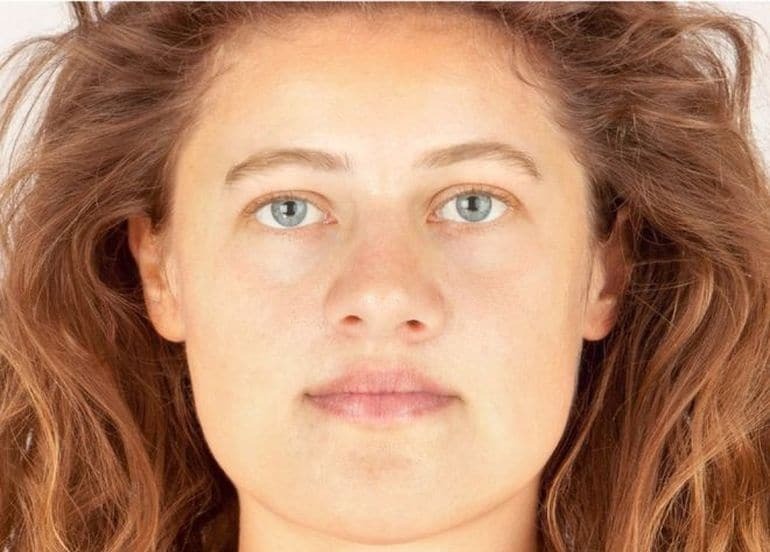 But researchers had given the ‘human’ touch to this Bronze Age scope of an enigma, by reconstructing the face of the woman whose remains were discovered at the site back in 1987. Given the moniker of ‘Ava’, the young woman was 18-22 years old at the time of their death, while her skeletal remains are dated from around 3,700 years ago. In regard to the incredible project, the resultant work is the brainchild of forensic artist Hew Morrison, a graduate of the University of Dundee. Aided by the comprehensive research project on Ava managed by archaeologist Maya Hoole, Morrison was able to get a lot of details on the history and anthropology of the Bronze Age human specimen. Other features of her face were gauged from various data parameters, ranging from a chart of modern average tissue depth to an anthropological formula for calculating the depth of the missing lower jaw. Heralded by the Greek Ministry of Culture as the “the most important tomb to have been discovered in 65 years in continental Greece”, the 3500-year old Mycenaean ‘Griffin Warrior’ grave found in Pylos (in October 2015) was filled with over 1,400 precious objects. 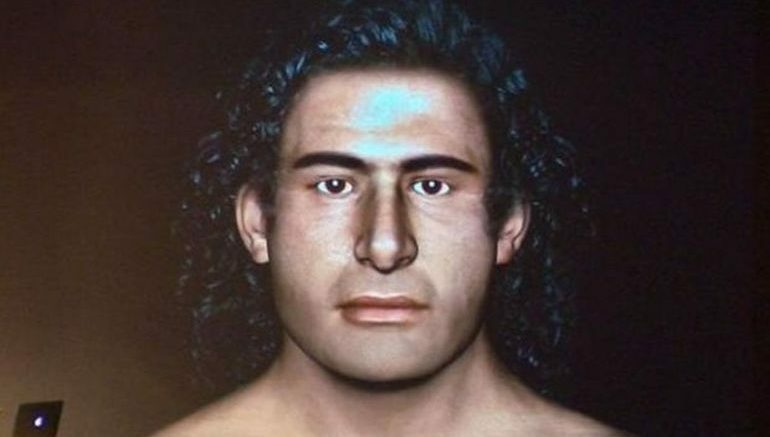 Researchers from the University of Witwatersrand of Johannesburg had made this incredible ancient scope even more ‘romantic’ with their reconstruction of the face of the presumably renowned warrior male, done with the aid of a depiction on an ancient seal discovered inside the tomb. 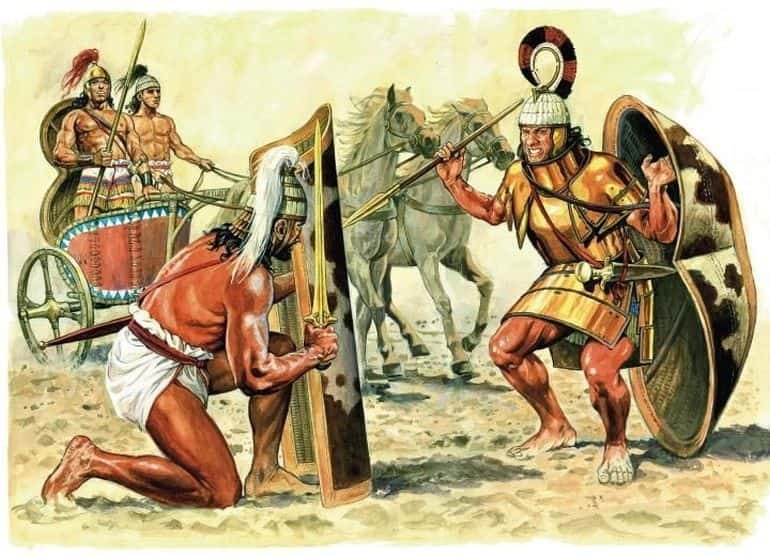 Artist’s drawing of late Mycenaean warriors, with the soldier on the right wearing the Dendra Panoply. As for the flurry of precious objects, the 5 ft deep, 4 ft wide and 8 ft long tomb boasted various vessels made from metals like solid gold, silver, and bronze. These were accompanied by gold pendants, necklaces, and the aforementioned rings, along with beads of carnelian, amethyst, jasper, and agate. But oddly enough, the archaeologists had not found any evidence of conventional ceramic vessels – almost as if the use of regular ceramic in the tomb decoration was beneath the Griffin Warrior’s status. In my opinion, the shape of the face and skull are remarkably similar to a famous image of Tutankhamun as a child, where he is shown as the sun god at dawn rising from a lotus blossom. Controversially enough, in 2014, King Tut once again went through what can be termed as virtual autopsy, with a bevy of CT scans, genetic analysis, and over 2,000 digital scans. 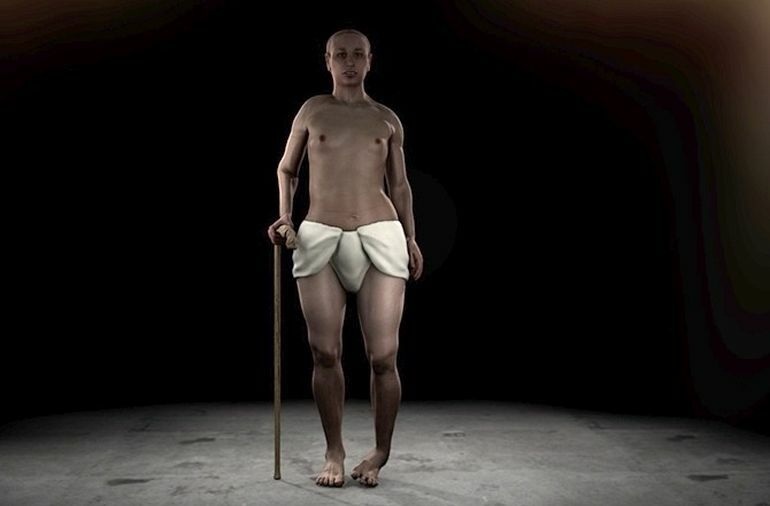 The resulting reconstruction was not favorable to the physical attributes of the ancient Egyptian pharaoh, with emerging details like a prominent overbite, slightly malformed hips, and even a club foot. Cleopatra – the very name brings forth reveries of beauty, sensuality, and extravagance, all set amidst the political furor of the ancient world. But does historicity really comply with these popular notions about the famous female Egyptian pharaoh, who had her roots in a Greek dynasty? Well, the answer to that is more complex, especially considering the various parameters of history, including cultural inclinations, political propaganda and downright misinterpretations. But one thing is for certain – the femme fatale aura of Cleopatra had more to do with her incredible influence on two of the most powerful men during the contemporary era, Julius Caesar and Mark Antony (Marcus Antonius), as opposed to her actual physical beauty. At least that is what the extant evidence of her portraits in coin specimens suggests. Taking all these factors into account, reconstruction specialist/artist M.A. Ludwig has made recreations of the renowned visage of Cleopatra VII Philopator (based on an actual bust thought to be of Cleopatra VII, which is currently displayed at the Altes Museum in Berlin). Researchers (from multiple faculties) at the University of Melbourne have combined avenues like medical research, forensic science, CT scanning, and Egyptology, to recreate the visage of Meritamun (‘beloved of the god Amun’), an Ancient Egyptian noblewoman who lived at least 2,000 years ago. And the interesting part is – the scientists only had access to Meritamun’s mummified head, which on analysis alludes to how she met her demise at a young age of 18 to 25. The painstaking process was achieved by CT scanning and then 3D printing an accurate replica of the mummy skull. In fact, the skull had to be printed in two sections for precisely capturing the features of the jaws. The facial reconstruction was then created by leading sculptor Jennifer Mann, with the aid of practical techniques that are often used in actual crime/murder investigations. 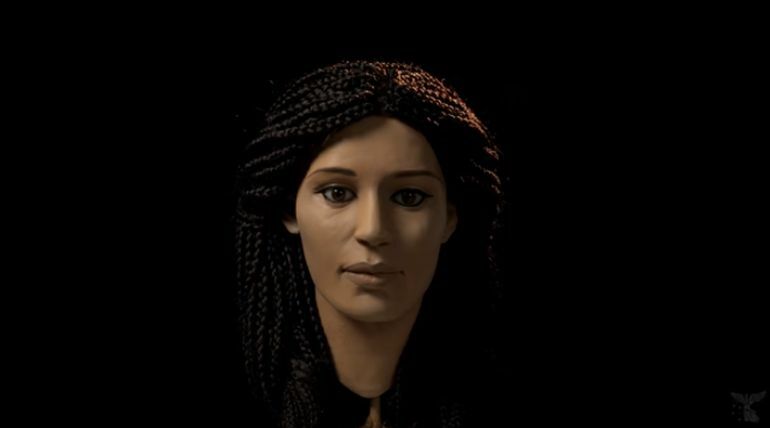 Aided by software simulation and 3D interactive technology by Liverpool John Moores University’s Face Lab, the above-pictured 3D model reconstructed in 2016, was the result of her detailed analysis – though it is still subject to various interpretations. According to renowned facial anthropologist, Caroline Wilkinson, the project was based on “all the skeletal and historical material”. 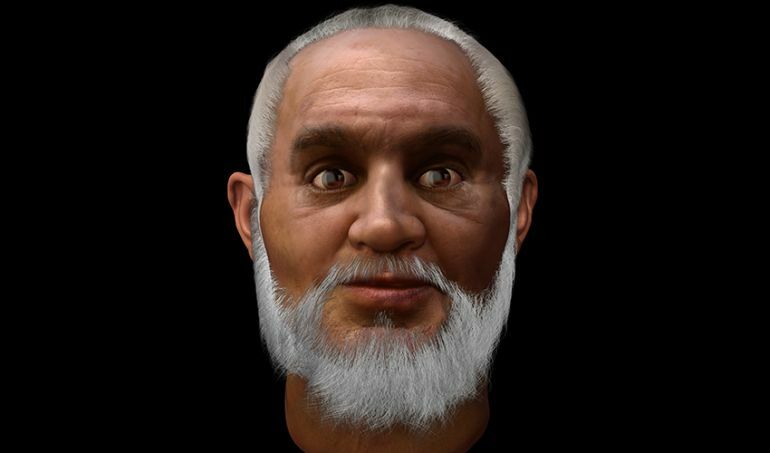 Interestingly enough, back in 2004, researchers had made another reconstruction effort, based on the study St. Nicholas’ skull in details from a series of X-ray photographs and measurements that were originally compiled in 1950. 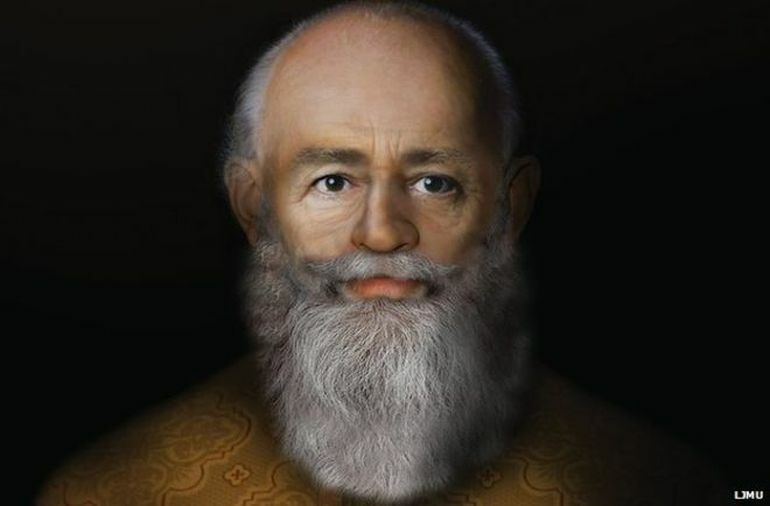 And we can comprehend from this image, St. Nicholas was possibly an olive-toned man past his prime years, but still maintaining an affable glow that is strikingly similar to the much later depicted Santa. His broken nose may have been the effect of the persecution of Christians under Diocletian’s rule during Nicholas’ early life. And interestingly enough, this facial scope is also pretty similar to the depictions of the saint in medieval Eastern Orthodox murals. Often heralded as one of the significant archaeological finds of the 20th century, the Lord of Sipán was the first of the famous Moche mummies found (in 1987) at the site of Huaca Rajada, northern Peru. The almost 2,000-year old mummy was accompanied by a plethora of treasures inside a tomb complex, thereby fueling the importance of the discovery. 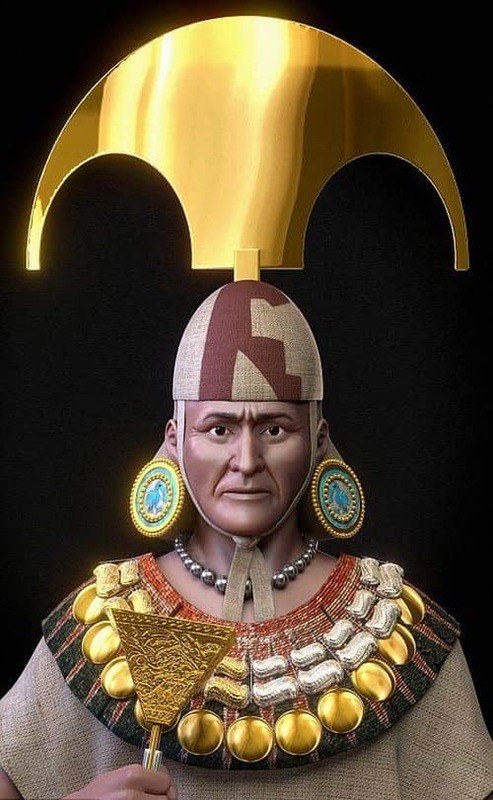 And researchers have now built upon the historicity of this fascinating figure, by digitally reconstructing how the ‘lord’ might have looked like in real-life. Of course, this was no easy feat, especially since the skull of the Lord of Sipán was actually broken into 96 fragments during the time of its discovery (due to the pressure of the soil sediments over the millenniums). So as a result, the researchers from the Brazilian Team of Forensic Anthropology and Forensic Odontology had to painstakingly arrange together these numerous pieces in a virtual manner. The reassembled skull was then photographed from various angles (with a technique known as photogrammetry) for precise digital mapping of the organic object. 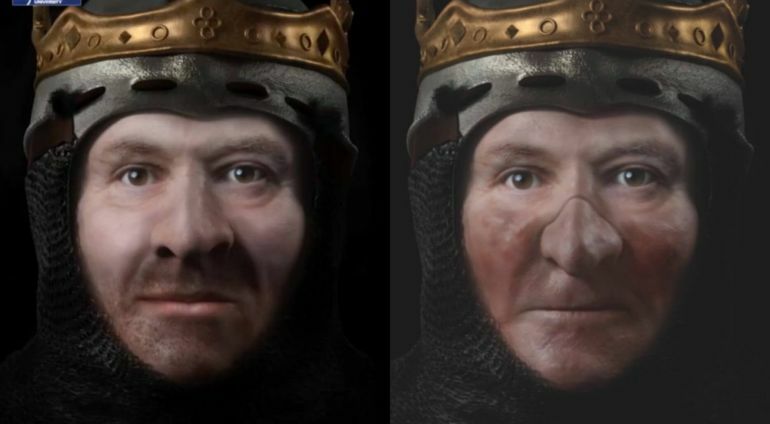 An incredible collaborative effort from the historians from the University of Glasgow and craniofacial experts from Liverpool John Moores University (LJMU) has resulted in what might be the credible reconstruction of Robert the Bruce’s actual face. The consequent image in question (derived from the cast of a human skull held by the Hunterian Museum) presents a male subject in his prime with heavy-set, robust characteristics, complemented aptly by a muscular neck and a rather stocky frame. In essence, the impressive physique of Robert the Bruce alludes to a protein-rich diet, which would have made him ‘conducive’ to the rigors of brutal medieval fighting and riding. Now historicity does support such a perspective, with Robert the Bruce (Medieval Gaelic: Roibert a Briuis) often being counted among the great warrior-leaders of his generation, who successfully led Scotland during the First War of Scottish Independence against England, culminating in the pivotal Battle of Bannockburn in 1314 AD and later invasion of northern England. In fact, Robert was already crowned the King of Scots in 1306 AD, after which he was engaged in a series of guerrilla warfare against the English crown, thus illustrating the need for physical capacity for the throne-contenders in medieval times. 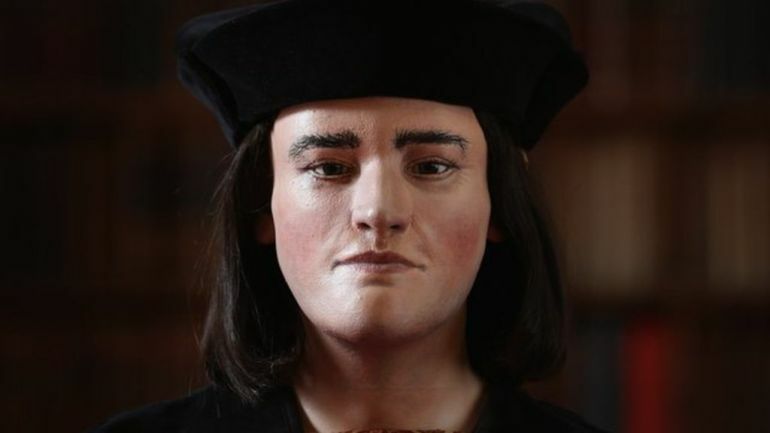 The last king of the House of York and also the last of the Plantagenet dynasty, Richard III’s demise at the climactic Battle of Bosworth Field usually marks the end of ‘Middle Ages’ in England. And yet, even after his death, the young English monarch had continued to baffle historians, with his remains eluding scholars and researchers for over five centuries. 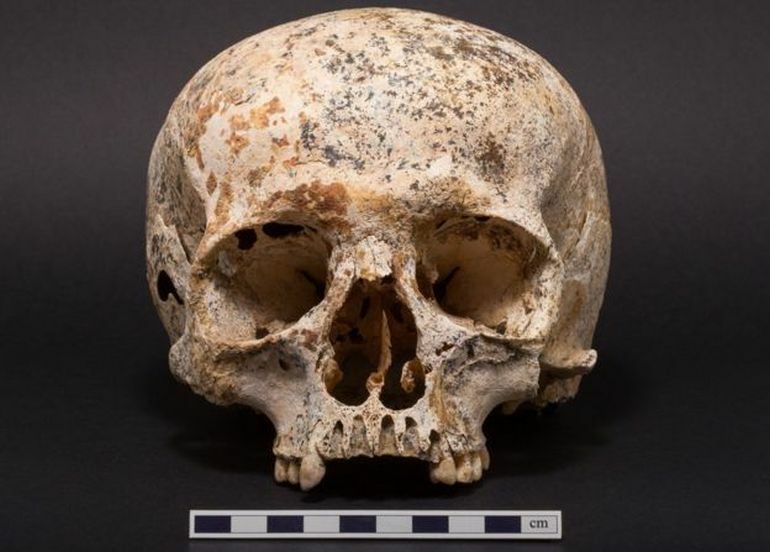 And it was momentously in 2012 when the University of Leicester identified the skeleton inside a city council car park, which was the site of Greyfriars Priory Church (the final resting place of Richard III that was dissolved in 1538 AD). Coincidentally, the remains of the king were found almost directly underneath a roughly painted ‘R’ on the bitumen, which basically marked a reserved spot inside the car park since the 2000s. 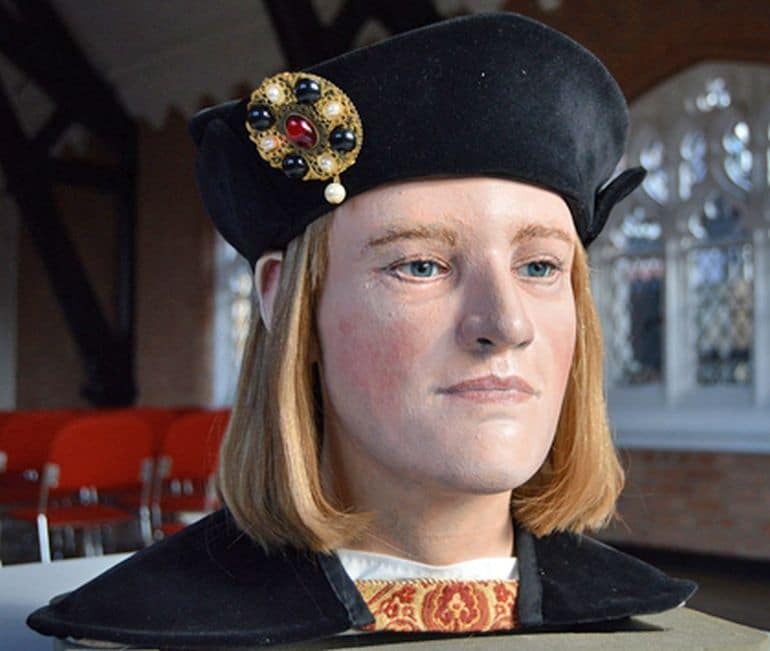 As for the recreation part, it was once again Professor Caroline Wilkinson who was instrumental in completing a forensic facial reconstruction of Richard III based on the 3D mappings of the skull. 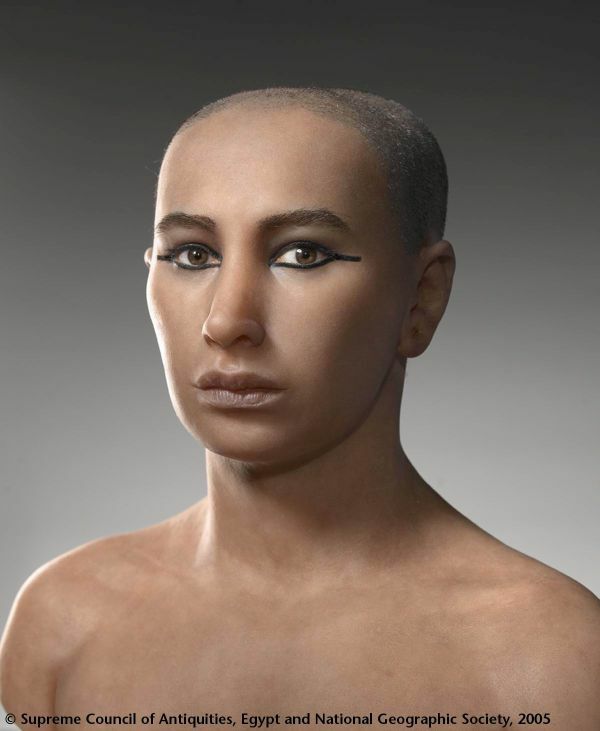 Interestingly enough, the reconstruction was ‘modified’ a bit in 2015 – with lighter eyes and hair, following a newer DNA-based evidence deduced by the University of Leicester. 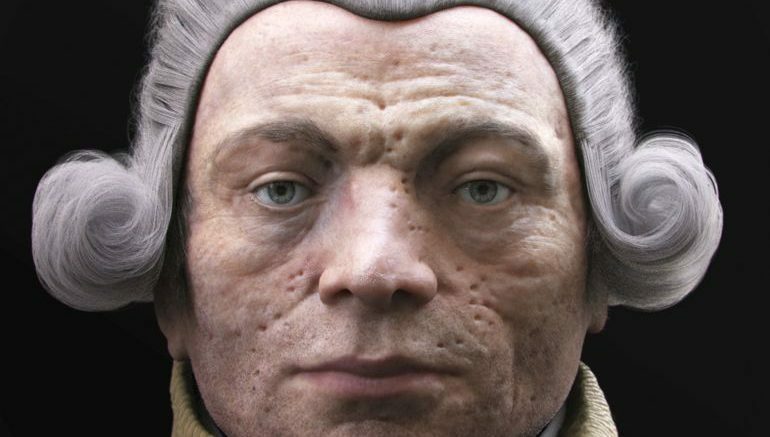 Back in 2013, forensic pathologist Philippe Charlier and facial reconstruction specialist Philippe Froesch created what they termed as a realistic 3D facial reconstruction of Maximilien de Robespierre, the infamous ‘poster boy’ of the French Revolution. 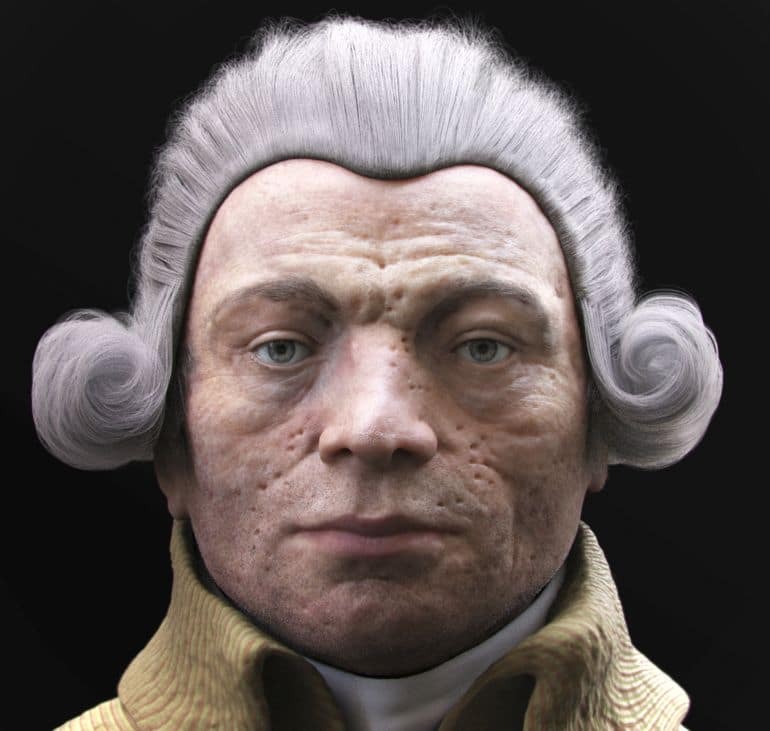 But as one can gather from the actual outcome of their reconstruction, contemporary portraits of Robespierre were possibly flattering to the leader. Originally published as one of the letters in the Lancet medical journal, the reconstruction was made with the aid of various sources. Some of them obviously relate to the contemporary portraits and accounts of Robespierre, in spite of their ‘compliant’ visualization of the revolutionary. But one of the primary objects that helped the researchers, pertain to the famous death mask of Robespierre, made by none other than Madame Tussaud. Interestingly enough, Tussaud (possibly) claimed that the death mask was directly made with the help of Robespierre’s decapitated head after he was guillotined on July 28th, 1794.